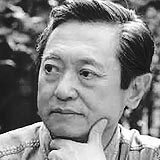 Ooka Makoto (b.1931) is one of the most significant Japanese poets of modern times. He is also “perhaps the finest [critic of poetry] in Japan today,” in the words of Donald Keene, the renowned scholar of Japanese literature. Deeply immersed in classic Japanese poetry and its aesthetics, a practitioner of tanka from his youth, and influenced by French symbolism and French poetry, Ooka weaves Japanese classical sensibilities and nuances into his modern poetry, resulting in a style at once sensuous and intellectual. He has received numerous awards for his numerous books of poetry, criticism, literary history, and literary theories in Japan and abroad, including L’ordre national de la legion d’honneur from France. Takako Lento translates American writers into Japanese, and modern Japanese poetry into English. As a frequent contributor to Poetry International Web, she strives to introduce modern Japanese poetry to a global audience. She has taught at universities in Japan and the U.S. She holds an MFA in poetry and translation from the University of Iowa Writers Workshop, as well as a Master’s degree in Literature from Kyushu University. Her recent publications include Tamura Ryuichi: On the life and work of a 20th century master (co-editor with Wayne Miller), Tanikawa Shuntaro: The Art of Being Alone – poems 1952-2009, and Collected Haiku of Yosa Buson (co-translator of W. S. Merwin).